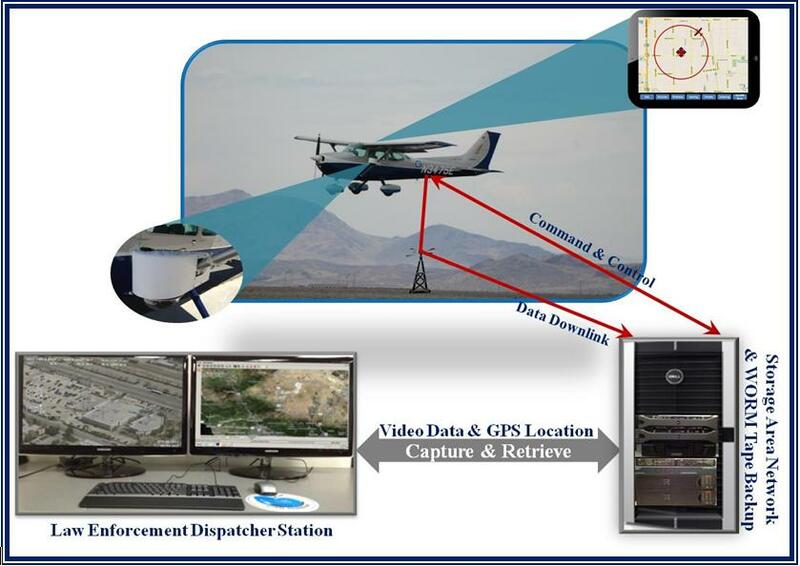 The Law Enforcement Aerial Platform System (LEAPS) is designed and integrated by Spiral Technology, Inc. for AeroView LLC. The LEAPS architecture marries airborne sensors and ground-based instrumentation to augment Law Enforcement and/or Disaster Response and Recovery agencies of counties and municipalities. The mission of LEAPS provides an affordable, reliable, manned or unmanned, aerial surveillance system that integrates with existing Law Enforcement and/or Local Government's infrastructures. The LEAPS aircraft and associated airborne and ground based ancillary support subsystems are currently in use supporting Los Angeles County Sheriff's Department in their Lancaster Station, providing surveillance in support of the Officers in the community who provide protection for their Lancaster, California citizens. To see the value LEAPS provides, view one of our monthly newsletters.